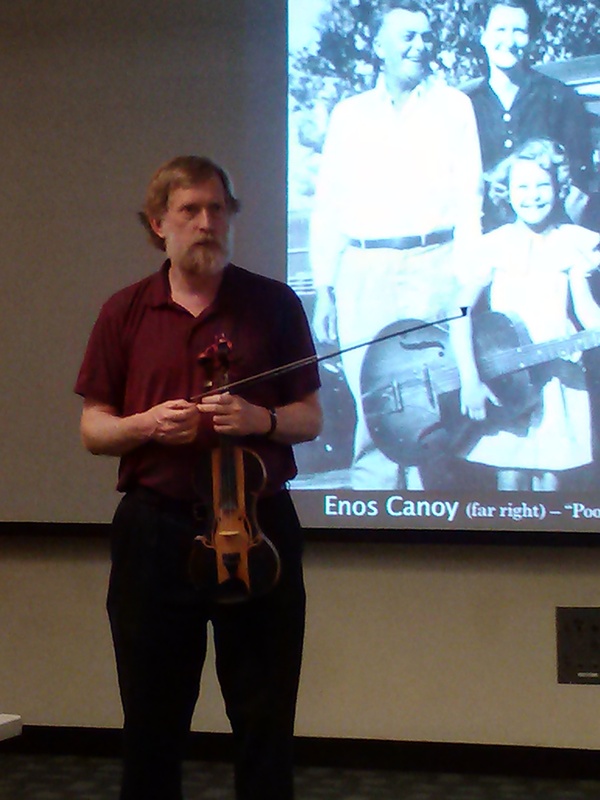 On April 26, 2014, Harry Bolick gave a lecture-demonstration-concert on his research on Mississippi fiddle tunes . 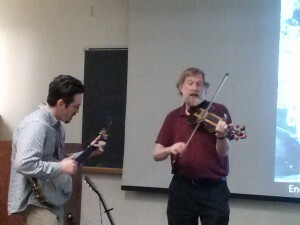 He was accompanied by multi-instrumentalist Brian Slattery on banjo, guitar, and fiddle. This lecture-demonstration-jam session ran in conjunction with the regional meetings of the Society for Ethnomusicology and the American Musicological Society. 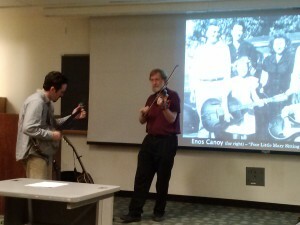 The presentational section of the evening turned into a fiddle-tune based jam session for all.